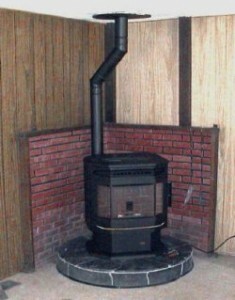 A wood stove chimney gas a special opening at the base, for ash removal and flange that is 6 feet off the floor where the pipe from the stove enters the flue. 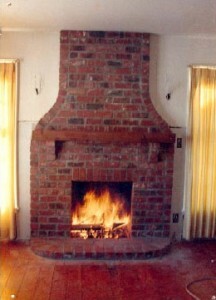 The top opening and these ones are the only opening of the wood stove chimney. 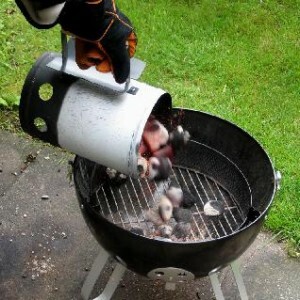 This is why, it is more affective. 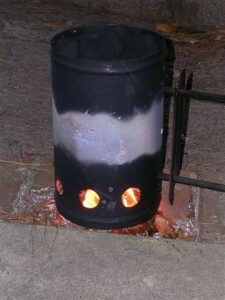 The heat goes inside the house, not up the chimney with the smoke. 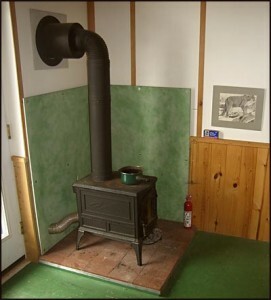 Make a solid base in the floor of the basement. 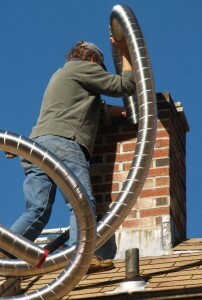 Dig a 4 feet square hole where the chimney will be. 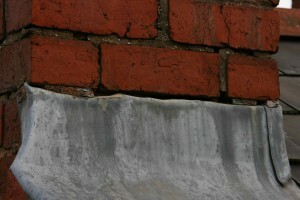 Place 6 inch thick concrete slab. 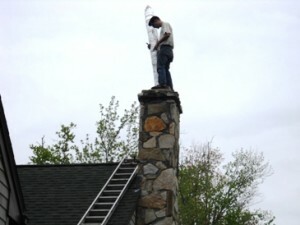 Once the base is solid enough, start building the chimney. 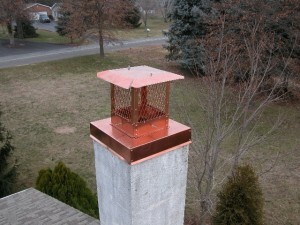 Build a clay flue liner inside the chimney block. 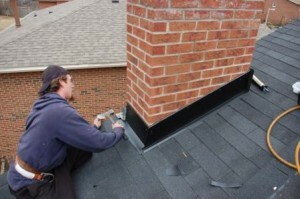 build the liner placing blocks one on top of the other with mortar in between. 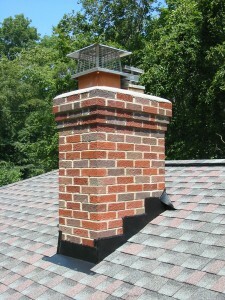 The liner building must always be one step ahead the chimney building. 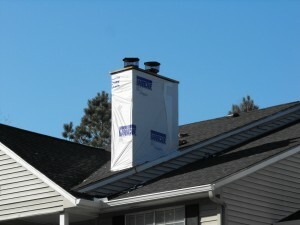 The gap between the liner and chimney must be filled with rubble so that the liner is stabilized. 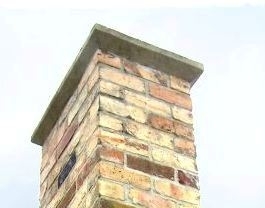 Each chimney level must have six blocks. 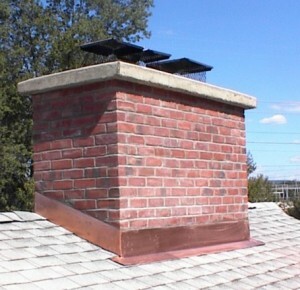 Use joints in between the blocks to secure the chimney. 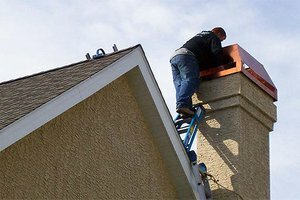 Check for level and plumb. 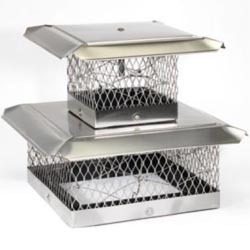 Install a metal clean out door at the chimney bottom. 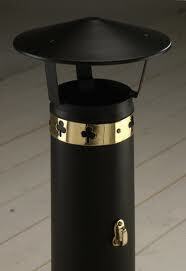 Make a hole 6 feet off the floor. 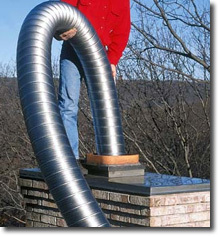 Install a clay sleeve that matches the stove pipe size. 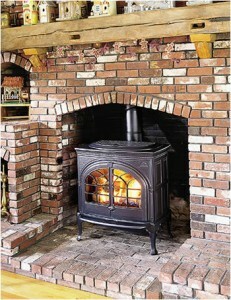 Install the stove pipe in the sleeve and use mortar to fill the gaps between the sleeve and the blocks. 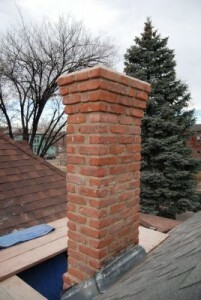 Exterior parts of the chimney must be faced with brick or covered with stucco, because the concrete is not made to resist outside weather conditions and will deteriorate. 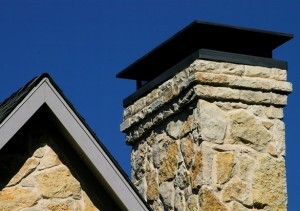 An interior chimney requires flash around it to avoid leaks. 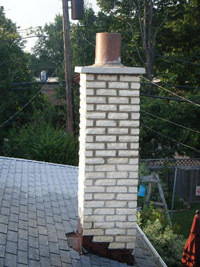 The exterior part must be faced with bricks. 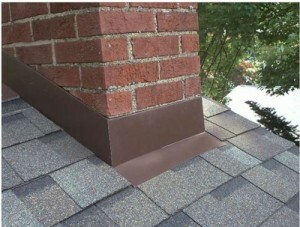 A flashing needs to be installed into the mortar joints, under the higher shingles and over the lower ones.